Three of Leeds’ six lap-dancing clubs are to shut next week after their applications to have their licences renewed were turned down by Leeds City Council. Two clubs – both situated on York Place – will continue to operate after their applications were approved. One club – Silks on Sovereign Place – has been given what looks like a stay of execution and will be allowed to continue to operate until the end of June next year. “The applications for Deep Blue of Wellington Street, LS1, Red Leopard and Wildcats both of The Headrow, LS1, were refused due to the number of buildings with sensitive uses nearby to the location of the premises,” says a press release from Leeds City Council. All of the clubs had to reapply for their licences after a tough new council policy came into force on 1st September. The policy limits the overall number of clubs in Leeds city centre to four, and prevents them being located in “sensitive areas” or near places with “sensitive uses”. The council’s licencing sub-committee heard the renewal applications for all six clubs in the middle of November. The decisions were made public today. The clubs on York Place that will main open are Liberte and Purple Door. 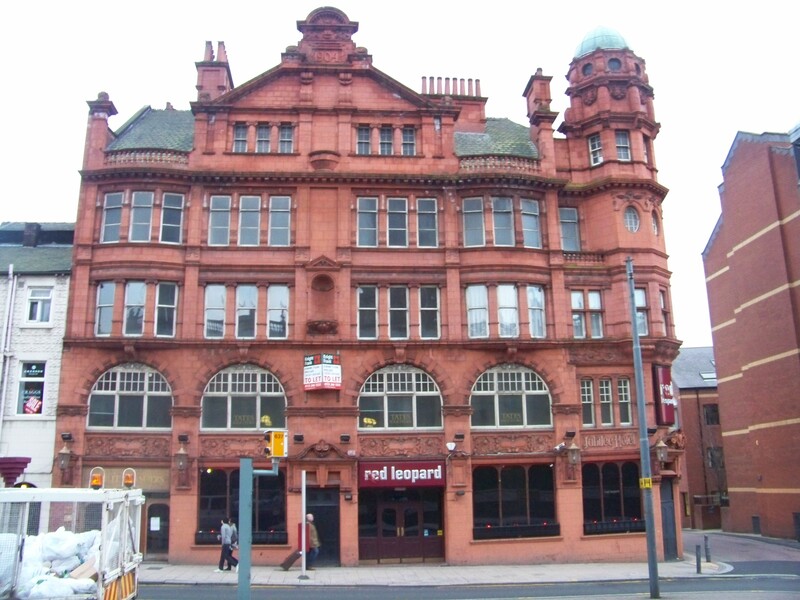 Representatives of one of the clubs on the Headrow – Red Leopard – said last month that it would take legal action and seek a judicial review if its application was turned down. “I’m very pleased that the committee have applied the policy of the council, this policy change was created through public engagement and was heavily consulted upon. The venues which have not had their licence renewed will have to stop operating at 4am on Friday 13 December. This entry was posted in Uncategorized and tagged Cllr Rebecca Charlwood, lap dance clubs, leeds, leeds city council, liberte, purple door, red leopard, silks, wildcats. Bookmark the permalink. I hope the clubs appeal and the murky abuse of democratic process is exposed to the light. This has nothing to do with ‘sensitive’ areas, and everything to do with puritanical, anti-feminist, moral bigotry. How can anyone be ‘pleased’ by throwing a couple of hundred people out of work? Merry Christmas!